Worried about your home flooding or the danger of carbon monoxide? Habitec can help with home environmental monitoring customized for your family. 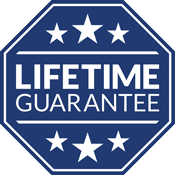 Our home security systems are protected by a lifetime guarantee! Habitec environmental systems allow you to monitor carbon monoxide, temperature, and water levels in your home. Environmental monitoring systems are simple to use and customizable. Our consultants will work with you to find the right solution for your home. Protect your family from this odorless threat by adding a monitored Carbon Monoxide Detection device to your existing system. When your home temperature falls, your pipes can freeze. Temperature sensors alert you immediately when a temperature drops too low, so you can avoid a major home disaster. Water damage can be serious and costly. Let Habitec watch over your home so you don’t have to worry about leaks or floods. With 24/7 environmental monitoring, you can count on a fast response at any time of the day or night. Detection includes power outages, floods, and sump pump overflow. I had the control panels upgraded for my home alarm system. The two men who came to do the work were professional, respectful and thorough. While it was nearly a full day job, they were efficient and unobtrusive. Setting up the appointment was easy and painless, as well. Thank you Habitec for being easy to work with. The technician did a fabulous job installing and was very professional and knowledgeable in the product. He was helpful with explaining how everything worked! Thank you Habitec! The Habitec team was incredible in walking us through our new system and made us feel like part of their family. Each person that we worked with was very professional and had the highest standards. Their product is superior to ADT and we would recommend Habitec to anyone looking for the best security solution. The habitec service guy was incredibly polite and kind. He explained everything easily and set up quickly. He even brought his own extension cord that he left for me to make installation a breeze. Very thoughtful!! Tim, the installation tech did a great job! We have a complex system and we are now very pleased. I was totally happy with the installation of my new security system. The technician showed up on time and was very friendly and professional. He did a great job of teaching me how to use my new system. OUTSTANDING SERVICE! REASONABLE RATES! Patience with Senior citizen customers! Central monitoring is awesome! Beautiful job well done great service very happy with my installation and installer. We've had Habitec providing security for our business for years. I love that the people monitoring us are locally based. We're contacted immediately when the alarm is tripped. 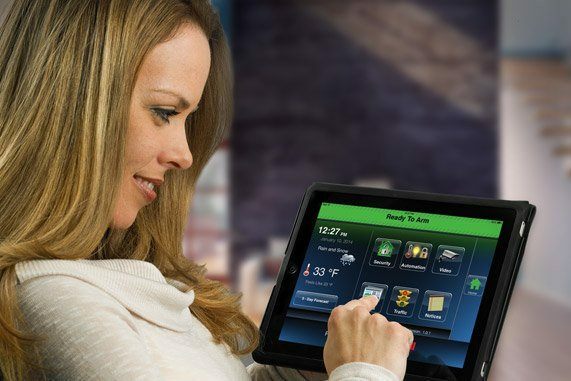 I've recommended Habitec to several friends looking to upgrade their home security systems for this very reason. Habitec Security has been great to work with and we are thrilled with the service they have provided. If you need a professional, reliable company-this is the way to go!